No doubt the quintessential California Cabernet style is big, ripe and oaky. We’ve got the sun, why not flaunt it? That is after all what we do well. But for me that style is feeling a bit old and tired, too homogeneous with little to distinguish one premium Napa Cab from another. But maybe things are looking up. With one foot in the old world, this Xurus Cabernet exudes the charm of variety, the dazzle of difference. It makes me believe in California Cabernet again. Black cherry and blackberry aromas are exuberant and fresh, pretty, but with some earthiness to lend it seriousness. 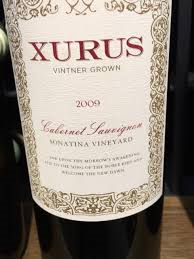 The prominence of sweet oak and vanilla suggest a typical Napa cab but the flavor of iron filings and the way the palate becomes sinewy and firm after the initial barrage of plush fruit is pure left-bank Bordeaux. The finish is lengthy and succulent supported by persistent, robust tannins that do not ravage the mouth but stay light on their feet. This is a well-balanced elegantly structured wine with enough complexity to hold your interest. But it is the textural transitions and evolution that set it apart. It is no surprise that the winemaking team includes Denis Malbec, who was enologist and cellar master for Chateau Latour for many years. There is a European heart beneath the exuberant fruit. Lake County is just north of its better known neighbor, the Napa Valley. 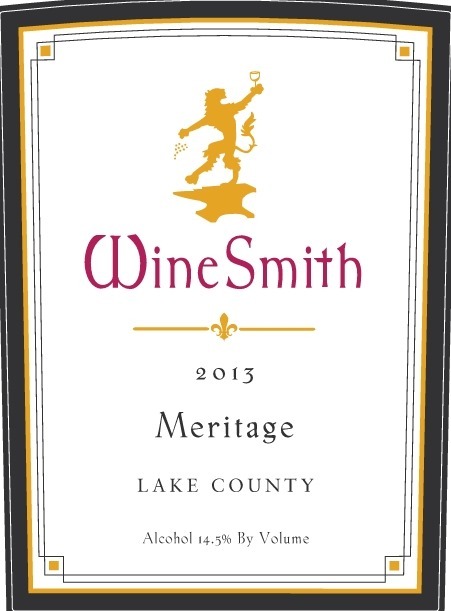 Truth be told, lots of Lake County fruit finds its way into premium Napa wine. With its higher elevation and cheaper land prices, it’s an up and coming region that deserves more attention.